Frances Perkins is no longer a household name, yet she was one of the most influential women of the twentieth century. Based on extensive archival materials, new documents, and exclusive access to Perkins's family members and friends, this biography is the first complete portrait of a devoted public servant with a passionate personal life, a mother who changed the landscape of American business and society. Frances Perkins was named Secretary of Labor by Franklin Roosevelt in 1933. As the first female cabinet secretary, she spearheaded the fight to improve the lives of America's working people while juggling her own complex family responsibilities. Perkins's ideas became the cornerstones of the most important social welfare and legislation in the nation's history, including unemployment compensation, child labor laws, and the forty-hour work week. Her greatest triumph was creating Social Security. 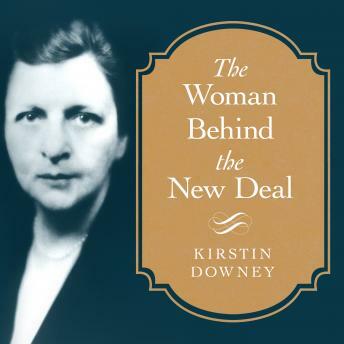 Written with a wit that echoes Frances Perkins's own, award-winning journalist Kirstin Downey gives us a riveting exploration of how and why Perkins slipped into historical oblivion, and restores Perkins to her proper place in history.